General Military History Photos: WWII - Casualities lying on stretchers aboard a lighter. Munda Point, New Georgia, SW Pacific. 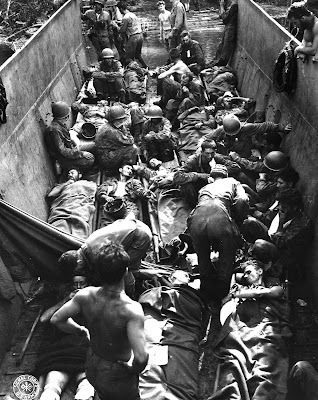 WWII - Casualities lying on stretchers aboard a lighter. Munda Point, New Georgia, SW Pacific.